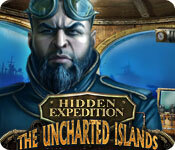 Hidden Expedition: The Uncharted Islands is rated 3.4 out of 5 by 55. Rated 5 out of 5 by Yanie1020 from Finally! A Challenge! Really liked this one! Puzzles were very different. After you figured out what the instructions were trying to tell you the puzzles were actually pretty easy. The challenge was deciphering the instructions! The HOS's were plentiful, but they involved several different scenarios, so that kept them interesting. Some items were extremely difficult to find, both in the HOS's and the rest of the game. I refused to give up, though, and I eventually found all of them. I liked the music; it fit the game very well. Graphics were great. No voice overs, but that's ok with me. I don't mind reading the subtitles. I came very close to using a hint a couple of times (or consulting the walk through) but I made it through without doing that. A nice challenge with some really different stuff thrown in. Had a great time! I'm not sure beginners would enjoy this, however, since it was on the difficult side. Rated 5 out of 5 by maggler from Great game! Gameplay is very intricate. 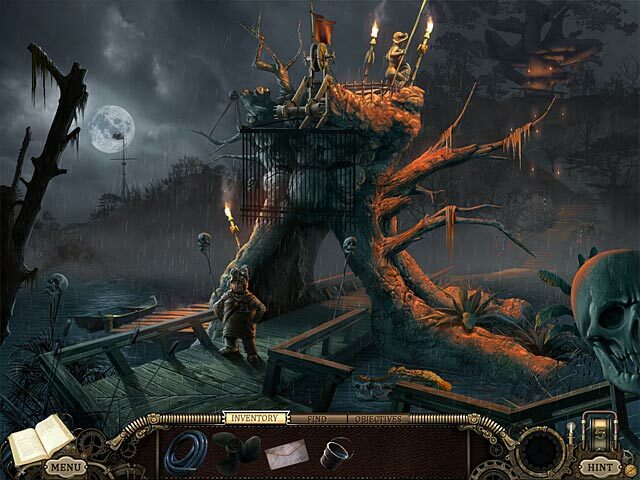 Some settings are unique, visually; HO scenes and puzzles are challenging. I've really enjoyed playing this game! Rated 5 out of 5 by neilskinut from Good sequel I enjoyed playing the game. I played the others and this tied right in to the others. Had a good storyline. Moved around looking for items to use and the HOG were easy to find. Rated 5 out of 5 by Firehorse66 from Fantastic game! I bought the CE and regret it because the bonus game play was ridiculously short. I loved the puzzles, so creative, artistic and fun with lots of variety. Great graphics with the exception of the underwater scene - too muddy and hard to see the objects. Love the whimsical writing and comments, newspapers.... I was laughing all the way through. Disappointing end, they should have had the giant fish jump up and swallow Undertow whole! Rated 5 out of 5 by SeaBamboo from Challenging & lengthy game This game from Floodlight & BFG has some wonderful puzzles, many of which are different from the usual pipes, sliders, etc & some of them are extremely difficult but there is a skip button if you get too frustrated. 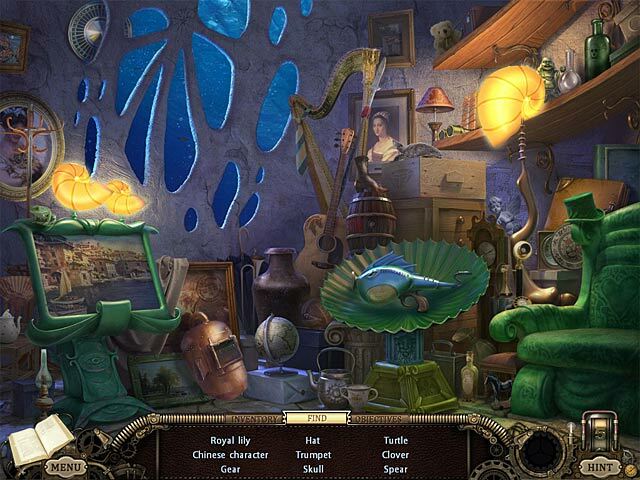 In addition the hidden objects are also a good mix of different ways to solve, for instance you may have to find four items but have to solve a puzzle within the scene to open a box to get another word list. The graphics are crystal clear & the artwork is stupendous, the scenes are so well drawn. There is a voiceover during the cut scenes & you can skip the dialogue but try not to be tempted as some of it is amusing. The scenes filled my widescreen nicely. You will get a journal which tells the story, has clues & gives a task list; in addition the task list can be found on the inventory bar. Sometimes it can be quite hard to figure out what to do though so I did quite a lot of tracking to & from scenes, there is no map. The hint button is not available in scenes where there is no action to perform. There are two modes of play; casual with lots of sparkles, you start with 5 hints & they recharge in 20 seconds or expert, no sparkles for 15 to 20 seconds & then you get a glint which gets brighter if you have not clicked on an item. Here you get 3 hints recharging in 60 seconds. The music wasn’t very memorable & rather repetitive & the background noises were in keeping with the game. 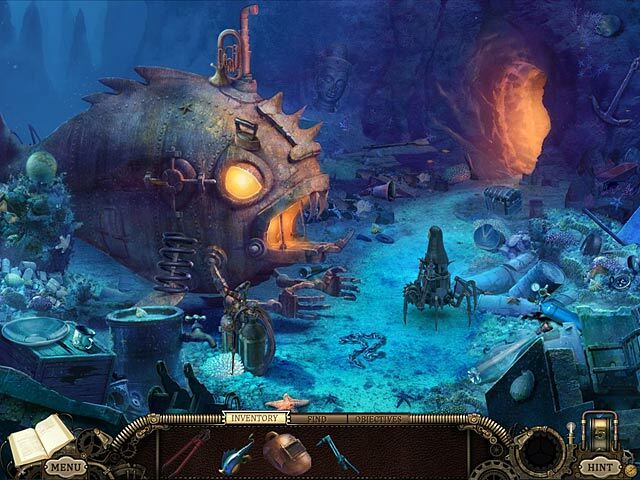 Rated 5 out of 5 by bbbeennyy from perfect A very special Hidden Object Game. lots of fun. Rated 5 out of 5 by AwesomeMcPower from What a pretty game. The story was a bit odd, but is that what I got it for? ;) I have two complaints...Some of the seek and find objects are very hard to find, because they are very light, and some of the scenes are pretty big, packed full of items to search through. The good thing is, there are an extra amount of hints available. The second would be that the arrow that directs you back a scene, or towards a scene is very clumsy, often times interfering with the inventory bar. But all in all, a lovely game. Very pretty, and the puzzles are head scratching, but then..Aha! Rated 5 out of 5 by Antaes11 from Sequel This game is the sequel to 'Hidden Expeditions: Devil's Triangle', and picks right up where the other leaves off. Play is great, flows well, and is challenging. I really enjoyed playing this game, especially in the expert mode. Graphics are good, and the puzzles are interesting.